Small Business Election Countdown: Productivity Improves. Can Growth Be Sustained? Imagine a substantive, issues-based presidential campaign in which the candidates actually debate the state of productivity in the U.S. economy. The question is simple: How productivity growth can be improved? Yeah, well, this economist can dream, right? In fact, this should be the case, as labor productivity matters given that incomes, ultimately, are tied to productivity. The more productive the individual, the greater their earnings. 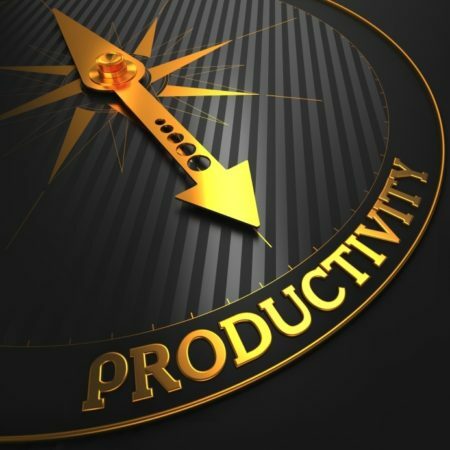 How does productivity growth increase? More private investment. That is, for example, investment in new and better machines, processes and tools, technological advancements, and quality education and improved skills. The good news was that productivity growth spiked up in the third quarter to 3.1 percent. That was after three consecutive quarters of declines: -0.4 percent in the second quarter, -0.7 percent in the first quarter, and -2.5 percent in the fourth quarter of 2015. And as reported, “From the third quarter of 2015 to the third quarter of 2016, productivity was unchanged.” So, while third quarter productivity growth was up, the overall productivity picture is anything but robust. The dramatic step up in productivity growth in the third quarter is most welcome. But as is the case with poor U.S. GDP growth (see SBE Council’s Gap Analysis #1: The GDP Shortfall) over the past several years, there is a quarter here and there where productivity growth jumps up, but there is no sustainability, and the quarters of solid growth turn out to be the exception. The problem of sustainability for both GDP and productivity growth will only be solved when private investment is reignited (see SBE Council’s analysis on a shortfall in private investment in Gap Analysis #2: A Lost Decade for Private Investment). In order for that to happen, governmental costs, obstacles and uncertainties must be removed through, for example, tax and regulatory relief and reform, as laid out in SBE Council’s most recent report titled Gap Analysis #8: Policy Solutions for Closing the Gaps in Our Economy. Get the incentives for investment right, and entrepreneurship, small business, productivity, GDP and income growth will flourish. It seems to this economist that that would be worth discussing and debating on the campaign trail.